I have a question on the alternator. Is there an upgraded alternator we can put on the Yaris? 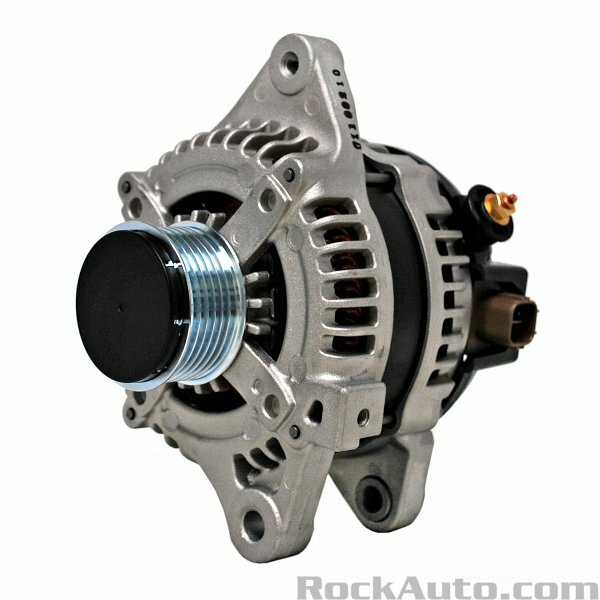 I was looking at them on Rock Auto, and it appearsthat an alternator from a 2008 Scion XD with a 1.8 liter would fit, but uses a different pulley (more ribs). They are both clocked at 8:30, and the mounts appear to be close, if not exactly the same. The Scion alty puts out 100 amps. Just wondering if anyone had tried this, or something similar? I've got a Ford 3G alternator laying around, might see if it's a possibility, as they are 130 amp. Anyway, I have a bearing going out in mine I believe, so I'd like to upgrade. FWIW, just bought one for a 2011 Scion, which is 100 amps. It has a decoupler pulley on it, and I will attempt to use it... as I think it will help with the squeaky belt. Will report back when I get it, and install it. oh, you're in Utah? i know there is a few in GJ. you could drive there! there is quite a few in SLC. these all look like great places! Thank you SirDigby! The place I used to frequent doesn't answer the phone anymore.... these will come in handy. I just looked up the status and the last activity was on October 13th at 3am.... saying it is in Virginia. Starting to wonder if something happened. Got it in today! Works like a champ. Had to get a new (longer) bottom bolt, and use some washers for spacers, but the little Yaris has a 100 amp alternator in it now. Last edited by white89gt; 10-20-2017 at 09:44 PM. Nice upgrade! I don't see the pics. I think members would appreciate a write up with pics. I know I would. Thanks. Sorry... They were gigantic so I resized them, lol. There is if you put a stereo in it. Surely I'm not the only one that likes to feel their music. Maybe, but I have never had a problem with this car draining. Most aftermarket batteries also are sold with larger cca than the factory battery. I think you are confused on what CCA's are. CCA means Cold Cranking Amps. This only matters when you start the vehicle. Your vehicle is intended to only use the battery to start it, not run it. After it starts, it is the alternators job to take over and run all things electronic. When you run electrical components, in this case the alternator, at a lower duty cycle - they last longer. My car was pulling from the battery... a sign the alternator is struggling. If you just charge your phone and drive, the stock alternator is fine, I agree. But like I say, I've got a stereo installed, and my amplifier alone draws 30 amps. It was dimming my lights, so I came up with a way to replenish the current draw. If you don't have a need for it, I'm sorry to have wasted your time. I thought some other users may find themselves in the same boat I am with a stereo. good idea, thanks / yeah when I hit my window up and it bottoms out, the lights dim, so yeah stock alternator is not enough juice / I know of a great rebuild place in Rock Hill, SC and would feel this would be best option, to trade up, they can getcha one with needed pulley and amp requests I am sure. white89GT, your thread got me thinking about my own upcoming stereo install. Although my system shouldn't draw more that 25 - 30 amps - at the level/power demands I'll be making - that is still 25 - 30 extra amps demanded by the alternator. I did some searching for upgraded alternators and come up with the following. As soon as I install my stereo, I will get out an amp clamp and depending on the total draw, I may be looking at an upgrade. Thanks for the post. It's definitely helpful. I notice the Yaris stumbling a bit when I turn on the heater (not the AC) which suggests the alternator is quite weak in the Yaris. Never had this issue on the 15 year old Civic I owned back then. I had a friend who replaced his failing alternator with a rebuilt Denso one and it failed in a year. Was told by an ex mechanic that they usually get their alternators rebuilt at alternator shops who could also upgrade the components. He ended up getting it swapped out at an alternator shop so his old one made up for the core charge. OP, was your alternator from a 2011 Scion XD? Might be a useful write-up for those of us who want to upgrade if the alternator is failing. 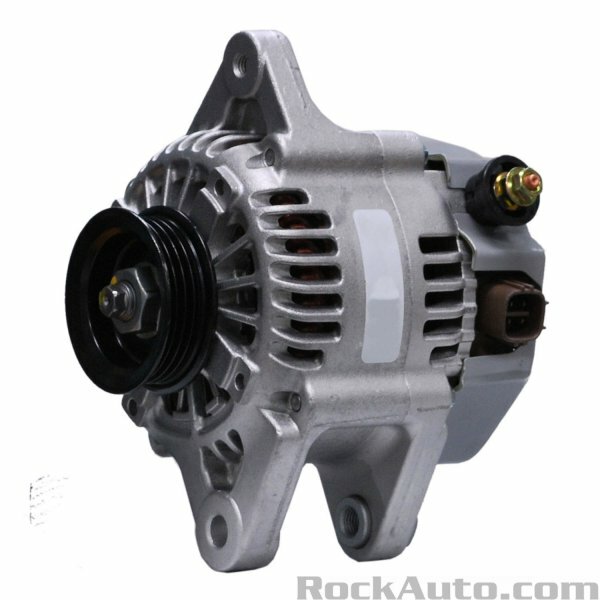 Before you go looking to swap an alternator it's best to confirm the alternator is the issue. Get an multi-meter and check if you have ~14V at the battery terminals with the car at idle.